I’m not sure what makes these soft, thick cookies Norwegian per se, except that my friend who gave me the recipe comes from a long line of Norwegians. Since I also have Norwegian blood, I know for certain that if somebody’s great-great grandma insisted these be called Norwegian cookies then we better darn well not leave that off because it meant something. 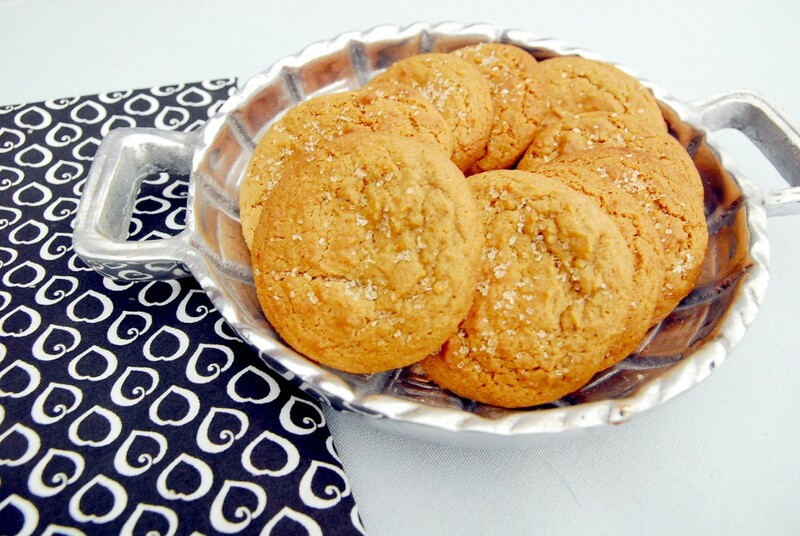 But, between you and me, if I didn’t fear my granny FaceTiming me up right now (yes, my granny can FaceTime) I’d totally call these Soft ‘n Spiced Ginger Cookies. Pretend you never read that though. Because my granny will probably figure out a way to Facetime you too. 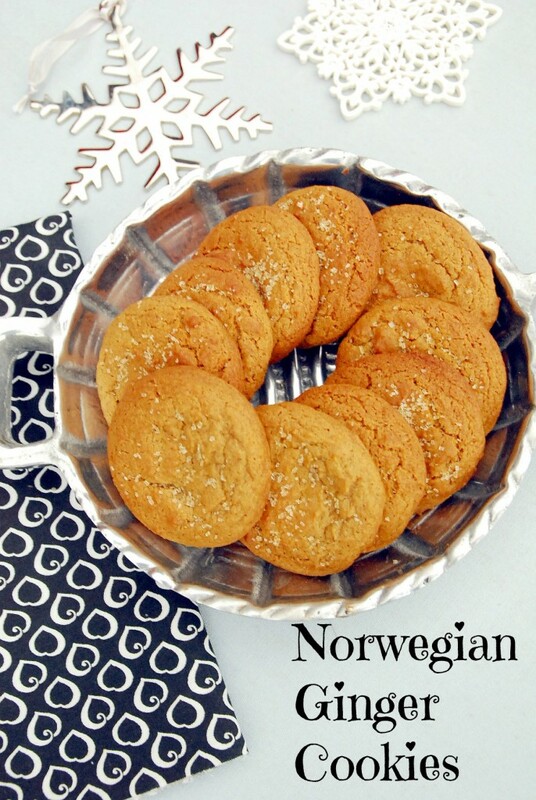 So, Norwegian Ginger Cookies it is. I try to include a spice cookie each year in this series. What makes these different is that they always turn out soft (but not too soft) and thick. These cookies will not flatten out on you, and you don’t even have to refrigerate the dough first. The high flour content and 2 tsp. of baking soda guarantee you a thick, sturdy yet tender cookie. Perfection. Do not skip the step about sprinkling coarse sugar on the top immediately after taking out of the oven. It makes the cookies so much prettier. Preheat oven to 375 degrees. Line cookie sheets with silpat or parchment. Use an electric mixer to cream butter and sugars. Add egg and molasses and mix until everything is well-blended. In a separate bowl, combine flour, cinnamon, nutmeg, salt, baking soda and ginger. Slowly add flour to butter mixture, mixing just until combined. Use a 1 1/2 tbsp. cookie scoop to scoop dough on cookie sheets. Bake for about 9 minutes. The tops of the cookies will start to crack and the edges will become slightly brown. Sprinkle immediately with coarse sugar. Let these cookies sit on the cookie tray for about 3 minutes and then place them on a wire rack to cool down.